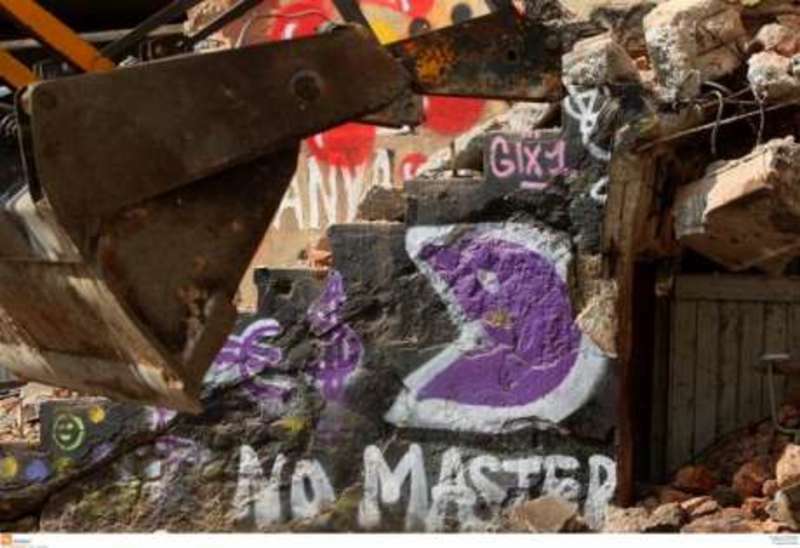 In a move unprecedented in times of “democracy”, the Greek government raided and evicted today, 27 July in the early morning, three squats in the city of Thessaloniki, which were being used as shelter for refugees. The message the left wing government wants to transmit is that there is no space for solidarity and self-managed responses to the ordeal of the refugees, only the state’s charity and the confinement, marginalisation and selective deportation carried out by a government that follows to the letter the criminal immigration policies of the EE. The eviction comes only a couple of days after the end of the No Border Camp in Thessaloniki, which united thousands of activists from throughout the continent to protest these very policies. One of the squats, Nikis, has been a long standing squat in Thessaloniki, which was opened up to refugee families with the onset of the refugee crisis. Another one, Orfanotrofeio, was (re)occupied last year with the express purpose of giving shelter to immigrant and refugees in a self-managed way. The third one was occupied only a few days ago in the very centre of the city for the same purpose. 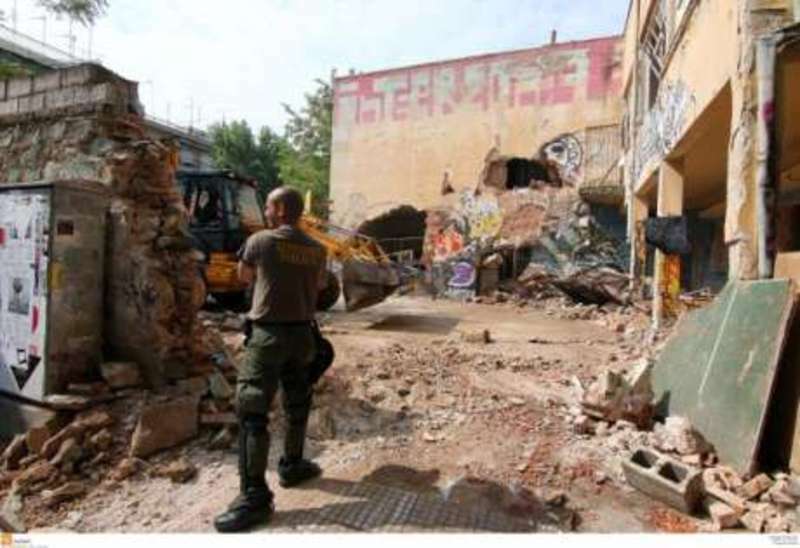 Orfanotrofeio was evicted and immediately demolished. Under the rubble were buried tons of medicine, food, clothes and first necessity items that were destined for refugee families, as well as the occupants’ personal belongings. Hundreds people were detained in the 3 operations, among them many refugees who were taken to detention camps, as well as Greek and European militants of the movement in solidarity with the refugees who are still (on the midday of 27 July) under police custody. It is not the first time that the Syriza government has shown its authoritarian face. After enforcing disastrous austerity measures that the previous -right wing- governments were unable to carry out, it also competes with the right wing in the field of heavy-handed repression of those who don’t give up fighting for freedom and human dignity. In response, a multitude of people has occupied the headquarters of the Syriza party in Thessaloniki. Great forces of riot police are surrounding the building and there is a great chance of a violent confrontation. Acts, protests and demonstrations of solidarity are being organised throughout Greece. Spread the news, join the protest, denounce the criminal acts of the government in any way possible! 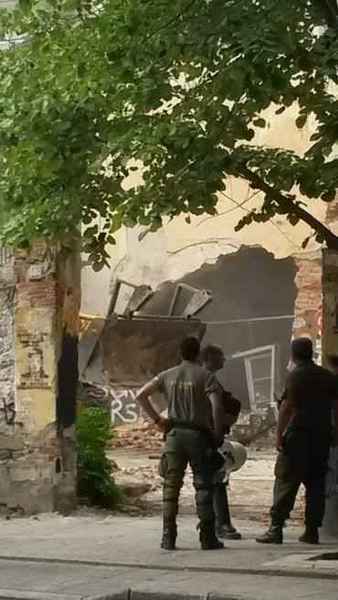 On July 27th 2016, at the crack of dawn, Greek police forces raided and simultaneously evicted three housing squats in the city of Thessaloniki: Orfanotrofio housing squat for migrants (property owned by the Church), Hurriya community on Karolou Diehl Street (privately owned building), and another building located at Nikis Avenue (owned by the University). Several dozen people living inside were detained. Probably all those without papers were sent to detention camps, while a large number of activists were referred to trial. Later that day, Orfanotrofio building was completely demolished by authorities. Since then, several actions have taken place in response to this repressive operation. On July 28th, some arrestees of Nikis building received four-month suspended sentences. The arrestees of Orfanotrofio and Hurriya will stand separate trials, on the 3rd and 5th August respectively. All arrested activists have been released. 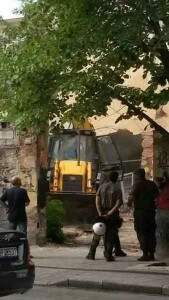 On July 27th 2016, at 05:45am, Orfanotrofio housing squat for migrants in Thessaloniki was evicted under the pretext of a complaint filed by Church S.A. Shortly afterwards, the complete demolition of the building began. Two other squats which housed migrants were simultaneously evicted (Nikis Avenue, and K.Diehl-Hurriya community). 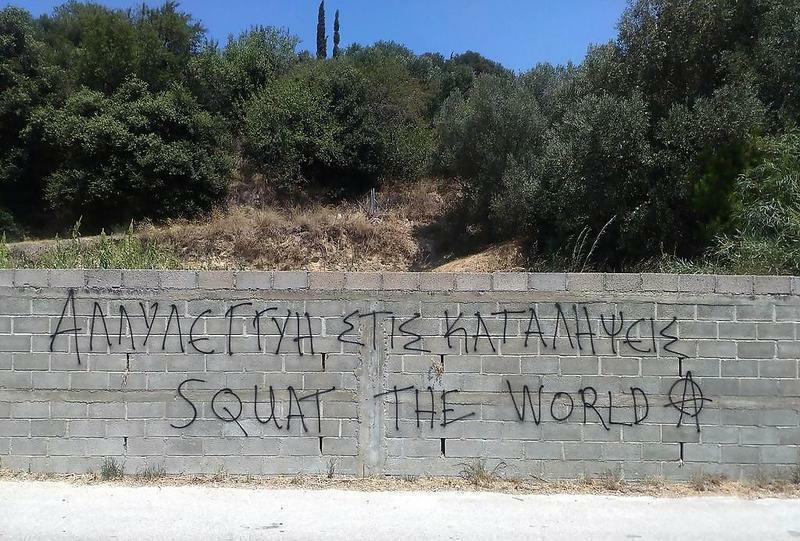 As a result, a total of 74 arrests were made in all three squats. What becomes very clear is the criminalisation of solidarity and, of course, the political choice of the State to target self-organised solidarity structures & communities of struggle. 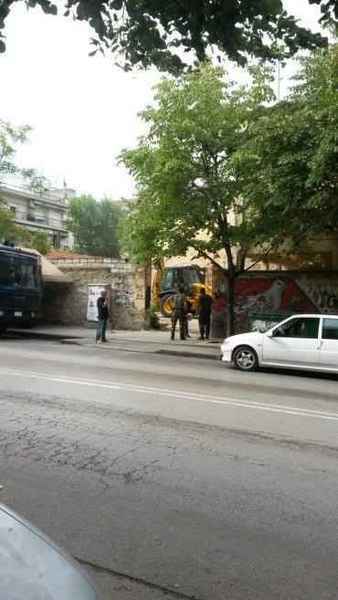 That these structures are being targeted became also evident a few hours after the three evictions in Thessaloniki, when the mayor of Athens Giorgos Kaminis announced he’ll lodge a complaint report concerning the fact that there are migrants living in occupied municipality-owned buildings, stating that they’re “degrading the city” of Athens. We, for our part, believe that housing squats for migrants do not degrade our cities, but instead enliven them. That’s why we’ll continue to create structures of solidarity and struggle; we’ll continue to live and fight together with migrants. Because we don’t extend solidarity towards migrants; we practice solidarity together with migrants. Because we don’t perceive ourselves as having privilege over migrants; we see ourselves maintaining a common position with them against bosses and states. Together we share what we have and fight for what we should have.